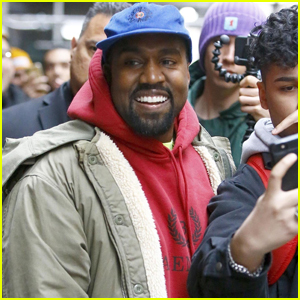 Kanye West is all smiles as he meets with fans while doing some shopping on Friday afternoon (December 14) in New York City. The 41-year-old rapper and fashion designer stayed warm in an olive-colored jacket, red hoodie, and black sweatpants as he stepped out for the afternoon. Over the past 24 hours, Kanye has been calling out Drake on Twitter for not apologizing directly to him for dissing his Yeezy Boost 350s, claiming he spread lies about Drake‘s son, and for allegedly disrespecting people who struggle with mental health. Kanye‘s wife Kim Kardashian also got involved, calling out Drake for allegedly “threatening” their family.